Grant Nelson teaches Real Estate Finance, Advanced Real Estate Transactions, Property, Land Use Regulation, and Remedies. He is the recipient of the School of Law's Rutter Award for Excellence in Teaching in 2000 and the university's Distinguished Teaching Award in 2002. Professor Nelson was also elected Professor of the Year by the UCLA Law Classes of 2004 and 2005. He was the Co-Reporter for the American Law Institute's Restatement of Property (Third)--Mortgages (1997), serves on the Law School Editorial Advisory Board of the West Academic Publishing, and has served as a Commissioner of the National Conference of Commissioners on Uniform State Laws for nine years. While in law school, Professor Nelson was an editor on the Minnesota Law Review. After serving as an officer in the U.S. Army during the Vietnam era, he practiced real estate finance at Faegre and Benson, a large Minneapolis law firm. He taught at the University of Missouri-Columbia School of Law for twenty-four years, where he was the Enoch H. Crowder & Earl F. Nelson Professor of Law and was elected Outstanding Professor by three classes. He was elected Professor of the Year at two other law schools where he was visiting. 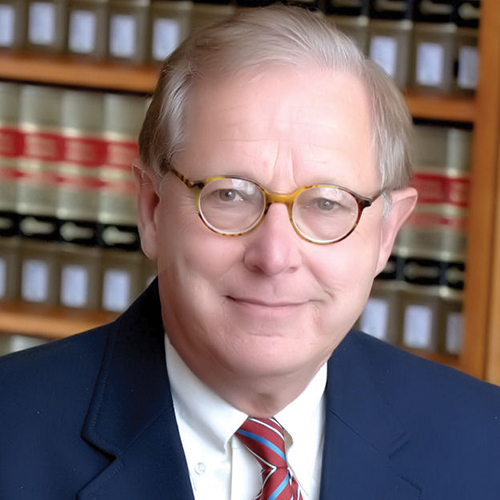 He chaired the Missouri State Bar Property Committee. Professor Nelson, who is also William H. Rehnquist Professor of Law, Emeritus at Pepperdine University, has published many books and articles on real estate finance law, property and remedies, the most recent of which include: Real Estate Transfer, Finance and Development (with Dale A. Whitman, Ann Burkhart and Wilson Freyermuth), 9th ed. St. Paul: West Academic (2015); Real Estate Finance Law (with Dale A. Whitman), 6th ed. St. Paul: West Academic (2014); and Contemporary Property (with Dale A. Whitman, Colleen Medill and Shelley Saxer), 4th ed. St. Paul: West Academic (2013).